Our five generations of winemaking tradition date back to 1883 in Ischia, Italy and our Great Great Grandfather's mission of creating wine intended as a natural partner at the family's dinner table. Growing up, Bill lived in 11 different cities across the U.S. but has called Houston home for the last 29 years. After graduating from Vanderbilt University, Bill joined Procter & Gamble as a Unit Sales Manager before embarking on his 39-year career in the wine business. Bill was a Regional Manager with Gallo, a Regional VP with Heublein, Sales Manager for Freixenet USA, a Regional VP for Don Sebastiani Wines and in Texas, he worked for the state's largest distributor, Quality Beverage, as its Statewide Wine Manager, all before joining Scotto Cellars in 2013 as National Sales Manager. Bill not only brings a high level of wine industry expertise to his current position, he has also built a sales force of extremely competent and highly motivated Regional Managers covering key areas across the country. When not traveling the country calling on all sectors of the business, Bill takes time to relax in the music world playing saxophone, clarinet and flute as part of a 20-piece band that has performed in both Europe and the U.S. His band also plays regularly at Houston's House of Blues and he serves on the Board of Directors for the Lake Houston Musical Society. Bill is an avid fan and student of baseball and just celebrated his 40th wedding anniversary with his wife Elizabeth. Together they love spending as much time as possible with their three children and five grandchildren. Bill's motto and guiding principle with his salespeople or customers is, "Whether in sports, music or business, it's all about the team!" Danny is tri-lingual in English, Spanish and Lebanese. He was born in Lebanon and raised in Venezuela where his father served as the Lebanese ambassador. The family later came to the U.S. and settled in Los Angeles in 1980 before moving east and eventually calling Florida home. Danny received a BA in Marketing from Orlando University and returned to Venezuela to earn a Masters in Political Science from Santa Maria University. He has a long history in the wine business both as a sales representative and distributor and gained valuable additional experience as a retailer in another industry. With Southern Wine and Spirits, Danny worked for five years in both the on-premise and off-premise sectors and then spent another five years specializing in chain accounts Danny's experience and educational background are vital to his success with Scotto Cellars as they both lend a unique level of expertise. . 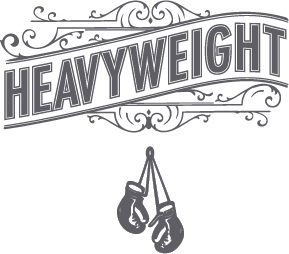 In his spare time, Danny participates in the Krav Maga discipline of martial arts, car racing, other sporting activities and enjoys spending as much family time as he can with his wife Lisa and their two children Gabriela and Nicholas. He's often said that the wine industry "is the only one that has ever driven him." Since January 2017, this drive along with his self-instilled ethic dictating hard work, respect and a positive attitude that's responsible for the success Danny has achieved with Scotto Cellars. Clint was born and raised in Sheboygan County, Wisconsin and received his BA in English from the University of Illinois at Chicago in 2006. He then went on to earn his Court of Master Sommeliers Certification in 2009. Clint grew up in Chicago's wine industry with stints at Binny's Beverage Depot, Randolph Wine Cellars & The Tasting Room as well as the highly regarded restaurant Topolobampo. In 2012 Clint took a temporary swing away from wine to become the Craft Beer Manager at Stoller Wholesale and in 2015, he joined Paul and Michael Scotto as Sales Manager for their Cider Brothers brands. In 2018, Clint returned to the wine arena and joined Scotto Cellars to manage the Mid-West region. Clint and his wife Joy live in the Norwood Park neighborhood of Chicago with their three children Isabelle, Charlie and Madison. He is an avid Green Bay Packers fan who religiously subscribes to NFL Sunday Ticket so he doesn't miss a minute of their games. Born in Brooklyn, Dylan traveled to San Rafael with his very adventurous parents who had aspirations of starting a new life. They decided to open a neighborhood muffin shop where Dylan, at the age of seven, found himself behind the counter and in the kitchen. Here he began to develop his palate and passion for all things food related. Dylan continued on his culinary path by earning a certificate in baking from the Culinary Institute of America at Greystone before returning to his family's business where he injected new energy and broadened its product line. Dylan met his wife Natalie in 1995 and they were married 2001 on the beach in La Jolla, CA. Dylan moved east again as Natalie was accepted in a graduate program at Columbia University and reconnected with wine by working in Grand Central Station's Grande Harvest Wines. While gaining a wealth of vinous knowledge by tasting and selling wines from across the globe he set the course for his future career. After Natalie's graduation, they returned to Northern California where Dylan began working for Scotto Cellars and affectionately became known as "The Hand" in recognition of his success in the art of hand selling a product he was committed to and strongly believed in. 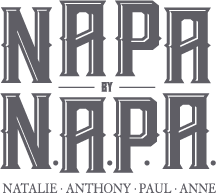 Natalie and Dylan now reside in Napa with their two children Arden and Enzo and their precious fox terrier. When not working on his "hand sell," Dylan enjoys cooking, hiking and traveling with the family. You might say that Josh was “well aged” when he finally made his way into the business of wine. Born in Deadwood, SD and a 2004 graduate of the University of Oklahoma law school, he continued a family tradition by practicing as an attorney for four years before moving to Chicago and opening a retail wine shop. 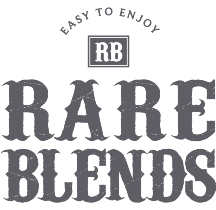 The industry’s three-tier distribution system offered other opportunities as well, so he eventually opened a distribution company and created his own wine brand. The West Coast called Josh and his wife Paige to Portland to be closer to their families and he became the National Sales Manager for a prestigious Willamette Valley winery. 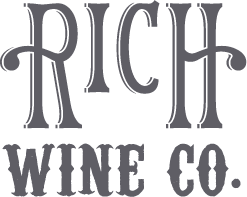 While doubling their sales and distribution network, Josh developed an extensive knowledge of the intricacies of selling wine in a variety of markets and trade channels across the country. Two years and two children later, Josh joined us at Scotto Cellars to help build our brands in the Northwest. Mike was born and raised in London and currently lives with his family in Surrey just south of the city. 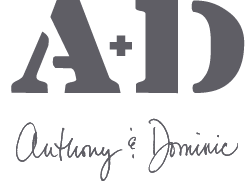 He has worked his way through the wine industry since 1989, beginning as an account manager for Grants of St James, a London based wine wholesale company, and spending several years in various sales and marketing roles for Allied Domecq as well as other national and international firms. In 2004, Mike formed his own Hilltop Wines based in London to bring a great level of export expertise to smaller and mostly family owned wineries in various countries. 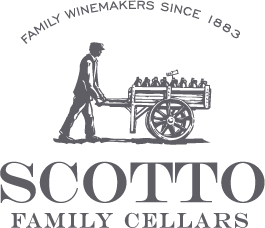 Mike has partnered with Scotto Cellars for many years, and through his export savvy guidance he has enabled the family in reaching many countries around the world to successfully build their brands in far reaching markets. Mike's first connection to wine came as a hobby but his "thirst" for knowledge took him deeper into the subject and eventually, the industry. He holds the coveted WSET Diploma that enables him to better understand not only the wines he is so instrumental in placing, but also the sophisticated customers he encounters on a daily basis throughout Europe and other key markets worldwide. Mike has three children and loves to relax by cooking and exploring the outdoors for exercise and stimulation. He has become an avid runner and regularly competes in the "Park Run" that is a weekly 5K run begun in England and now is spreading to other countries (including the U.S.) where he also participates as part of his international travels. Mike's mantra is, "Treat people as you'd like to be treated - look after them and they will look after you." Based in Southern California, Vince has extensive sales management and chain headquarter experience at Young’s Market Company, Southern Wine & Spirits and a boutique importing and distributing company. His initial exposure to the retail side of the wine industry came during his eleven years at Lucky/Albertson’s while he attended school. Vince believes that the essence of an exceptional wine is a combination of time, space, energy, spirit and soul and a connection to its terroir. He and his wife Connie share three children, very busy schedules and a mutual appreciation for fine wines served with friends and food, especially while they follow the Dodgers.